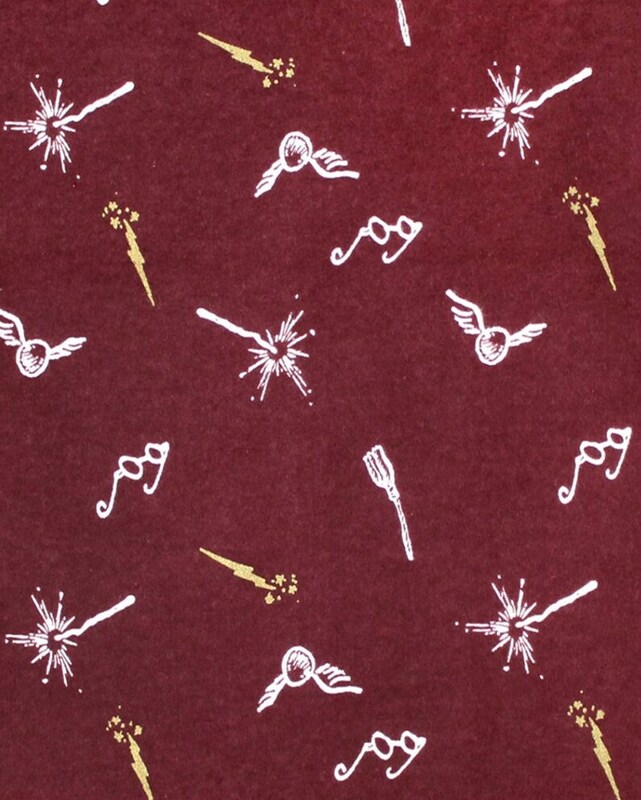 This listing is for Maroon Flannel Harry Potter Fabric by the yard. ATTENTION: Some listings may show finished items shown in the print that is for sale - usually taken outside with better lighting - showing more accurate colors. The finished item is NOT for sale on this page - just gives an example of item sewn in this particular print. This sale is for the fabric ONLY - for you to make your own creation with this beautiful cotton fabric. Each order is packaged in a protective clear poly bag... then placed inside white poly mailers (or box for large orders). Double packaged for safe fabric transit to your door! If ordering multiple yards they will be shipped as one continuous piece. Stored in a smoke free, animal friendly home. *Fabric sales are final. No returns or refunds. Please contact me if there is an issue with your order. Came in a short time and it's perfect for my Ubi diaper pail! And for the same price as Amazon, why not! It's much cuter than those too! This pillow is absolutely perfect! The stitching and quality is great! It is such a big help with my son's torticollis. It helps his little head stay straight while in his car seat and in his bouncy chair. Definitely recommend this product! Beautiful fabric. Just what I needed in the amount I needed. I can't wait to finish my project with it. Thank you so much for excellent service, fast shipping and lovely material! Love that so many patterns are offered. We received our pillow very quickly and it is made well! We are hoping it can improve the flat spot on our son's head. Thank you! Custom made items are not eligible for returns/exchanges as the item would have been made to your specifications. Only exceptions are if there is an error with your item and it was my mistake. Returns/refunds are accepted for items within 7 days of receiving as long as they are in their original condition and packaging. Item can not be opened, every item i make is made new for each baby to limit germs. If there is a flaw with my item i accept returns within 7 day of recieving but you must contact me first. Before a refund is issued, you will need to return the product to me packaged and mailed in the same way i sent it to you. The buyer is responsible for the return shipping costs. I will not provide a refund for items that are lost or damaged on their way back to me. All returns must be shipped with either delivery confirmation or some other form of tracking. If eligible for a refund, it will be provided after product has been returned safely. I recommend returning item priority mail so that item is insured if it gets damaged on its way back. Original shipping charges, and any rush order fees will not be refunded. **Items will not be refundable if item arrives smelling of smoke or any other oder. So please take care of item if there is a possibility of it being returned. **Computer screen colors may vary. If you are unsure of colors or sizes, Please contact me before you complete your purchases to insure a smooth transaction. Items will be shipped within 1-3 business days after I receive notification that your payment has been confirmed. You will be notified via e-mail as soon as your order has been shipped. I ship using the address given through Etsy. Please make sure that your shipping address is correct. I am not responsible for incorrect addresses. Buyer will be responsible for any reshipping charges. I am not responsible for damages or losses that occur during shipping, please message me if you would like to purchase insurance for your item before ordering. Priority mail is automatically insured up to $50. I love receiving reviews from happy customers, especially when they show products in use! Please be aware that the content of any review may, at my discretion, be used by UniquelyBaby without further permission. I may elect to use the content of your review in part or in whole, including any photos, for informational, educational, or promotional purposes. However, I promise to keep your personal identifying information confidential.